From Mike: “Re: Cold call solicitations from ECW. Do you think they’re pressing as a result of the DoJ ruling, or do you see something like this as a best practice? ECW cites an “AmericanEHR” survey that finds the company to be best at many things like training, eRx, usability, satisfaction, population management, etc. This would be more impactful if the actual study was available via the e-mail. A quick skim of AmericanEHR’s website shows that ECW isn’t in any of their Top 10 lists.” I can’t speak to the cold calling, though I suppose it wouldn’t have surprised me in the heady days of HITECH. 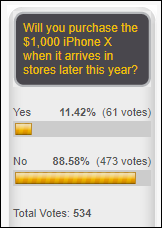 I’ll invite readers to weigh in with their experiences. 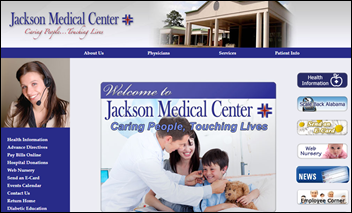 From MJ: “Re: Jackson Medical Center (AL) implements Evident’s Thrive EHR. Not good for Athena from an inpatient perspective. One of their 35-bed sites is already leaving them and returning to CPSI. Surprised the hospital was willing to disclose the cash flow details they saw between the two systems.” I couldn’t find any record of an Athena implementation at JMC. The announcement from CPSI’s Evident subsidiary does mention that the center is returning to Evident due to a 75-percent drop in collections with their previous vendor. New poll to your right or here: Have you been affected by the Equifax breach? Before you respond, I’ll preface this by saying this question is really about how you’ve been affected, and what steps you’ve attempted to take to protect your credit – either through Equifax’s offerings or some other vendor, so please share your experience in the comments section. 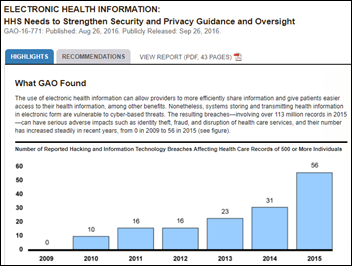 The GAO slams HHS in a report on cybersecurity preparedness in health IT. InstaMed secures a $50 million investment from Carrick Capital Partners. Former Tuomey Healthcare (SC) CEO Ralph Cox personally pays $1 million to settle allegations that he illegally compensated doctors in exchange for unnecessary patient referrals to the hospital. HITRUST begins exchanging bi-directional cyber threat alerts with the Department of Homeland Security. Hillary Clinton outlines her plans for improving healthcare, which includes improving the ACA, working to “integrate our fragmented healthcare delivery systems,” and helping to increase research and innovation. McKesson acquires population and risk management solutions vendor MedVentive for an undisclosed sum. HHS Secretary Kathleen Sebelius and US Attorney General Eric Holder warn AHA and other hospital organizations that the government will take appropriate steps to pursue providers who misuse EHRs to defraud Medicare. Nuance Communications acquires QuadraMed’s Quantim product line for health information management. Nordic Consulting raises growth capital from SV Life Sciences, Health Enterprise Partners, and HLM Venture Partners. Navigating Cancer raises $2.3 million to hire developers and integrate its patient portal into EMR applications. Microsoft wants to buy 5 percent of Facebook for $500 million, thereby valuing the three-year-old, teen-heavy social networking site at $10 billion. QuadraMed closes its Misys CPR acquisition. Bassett Healthcare (NY) selects McKesson for additional products for its four hospitals and 23 community health centers. The market for physician financial information systems is expected to grow from $3.5 billion in 2006 to an anticipated $6.22 billion by 2013. Susquehanna Health (PA), the first facility to go live on both Soarian Clinicals and Financials, has signed on with Siemens for additional technology and service solutions. 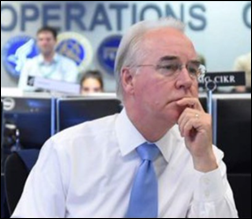 HHS Secretary Tom Price, MD comes under fire for his use of private jets for job-related travel. CMS Administrator Seema Verma announces that the agency will pivot its Innovation Center to offer providers new ways of delivering care. 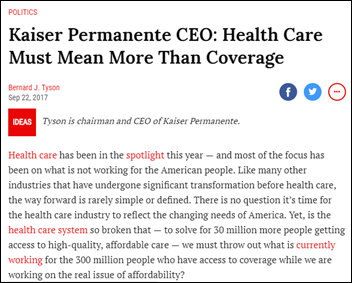 Tenet Healthcare sale rumors heat up with HCA rumored as a frontrunner to acquire several Tenet hospitals. British Colombia Health Minister Adrian Dix launches an independent review of Island Health’s $178 million Cerner Millennium implementation. Equifax suffers fallout from its botched attempts to provide post-breach customer service. October 19 (Thursday) 12:00 ET. “Understanding Enterprise Health Clouds with Forrester: What can they do for you, and how do you choose the right one?” Sponsored by: Salesforce. Presenters: Joshua Newman, MD CMO, Salesforce; and Kate McCarthy, senior analyst, Forrester. McCarthy will demystify industry solutions while offering insights from her recent Forrester report on enterprise health clouds. Newman and customers from leading healthcare organizations will share insights on how they drive efficiencies, manage patient and member journeys, and connect the entire healthcare ecosystem on the Salesforce platform. November 8 (Wednesday) 1:00 ET. “How Clinically Integrated Networks Can Overcome the Technical Challenges to Data-Sharing.” Sponsored by: Liaison Technologies. Presenters: Dominick Mack, MD executive medical director, Georgia Health Information Technology Extension Center and Georgia Health Connect; director, National Center for Primary Care; and associate professor, Morehouse School of Medicine; and Gary Palgon, VP, healthcare and life sciences solutions, Liaison Technologies. This webinar will describe how Georgia Heath Connect connects clinically integrated networks to hospitals and small and rural practices, helping providers in medically underserved communities meet MACRA requirements by providing technology, technology support, and education that accelerates regulatory compliance and improves outcomes. Leonardo DiCaprio invests in MindMaze, a Swiss startup that has developed virtual reality technology to help amputees and stroke victims regain movement. The company, which is looking to expand beyond healthcare into entertainment and media, seems to have found a fan in the actor, who has expressed interest in how its software can help make movies more interactive. National Decision Support Co.’s CareSelect-powered clinical decision support products are now in use in all 50 states. ROI Healthcare Solutions promotes Stacy Bennett to VP of human resources. Zelis Healthcare names Timothy Wilde (UnityBPO) CTO, Thomas Kloster (Inovalon) CFO, and Edward Fargis (Personal Touch Home Care) chief compliance officer and general counsel. NRC Health develops a hospital-focused consumer loyalty index to help providers attract and retain patients. Bluffton Regional Medical Center (IN) will switch from McKesson to Cerner in 2018. Harney District Hospital (OR) will go live with Epic in April. Mercy Hospital (IA) will switch from McKesson to Cerner in October. Plains Memorial Hospital (TX) switched from TruCode to 3M Encoder last November. 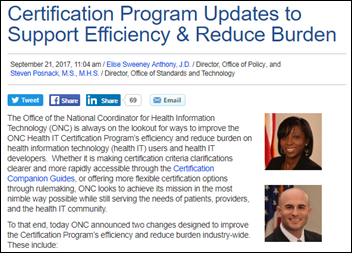 ONC eases EHR Certification requirements for vendors in an effort to reduce regulatory burden on health IT developers. First, ONC has revised certification test procedures so that vendors can “self declare” that their products meet 30 of 55 certification criteria. Second, ONC plans to exercise “enforcement discretion” when it comes to conducting randomized surveillance of health IT products. 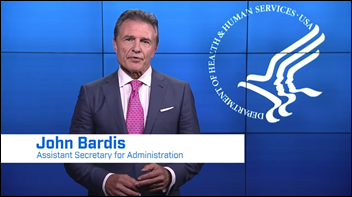 HHS instructs employees to complete video training on the dangers of leaking information – a move also being carried out across the departments of education, commerce, and the EPA. Colorado’s new Medicaid claims reimbursement system comes under fire when Colorado Hospital Association data reveals that it has yet to pay several hospitals and health systems $211 million. Operated by DXC Technology, the system has struggled since launching in March, rejecting claims from hundreds of providers due to what state officials have called operator error. 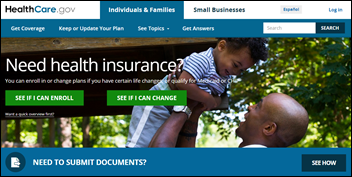 HHS will shut down Healthcare.gov for maintenance from midnight to noon nearly every Saturday during open enrollment, plus during overnight hours on the first day of the enrollment period. Government officials contend the maintenance is routine, though several media outlets have pointed out it is in excess of what occurred during the Obama administration. 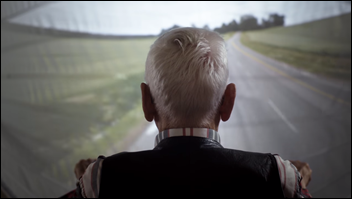 Google profiles the ways in which biomechanical engineer Anne-Christine Hertz is using Google Street View to help dementia patients travel down memory lane. In England, Microsoft sets up an AI-focused healthcare department at its research facility in Cambridge that will focus on developing predictive analytics tools. 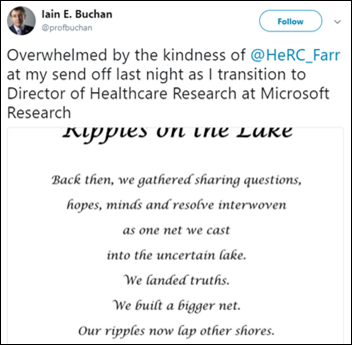 Public health informatics professor Ian Buchan will head up the new department. LiveProcess will exhibit at the Indiana Healthcare Emergency Preparedness Symposium September 28-29 in Indianapolis. The New York Times Corner Office features LogicWorks CEO Kenneth Ziegler. National Decision Support Co. will exhibit at Epic UGM September 25-27 in Verona, WI. Navicure will exhibit at PDSMED Mindshare 2017 September 27-28 in Kansas City, MO. Clinical Computer Systems, developer of the Obix Perinatal Data System, will exhibit at the 8th Annual Nebraska Section AWHONN Fall Conference September 28-29 in Omaha. Black Book recognizes Recondo as a leader in several RCM rankings for 2017. Experian Health will present at the HFMA FL Fall Institute September 27-29 in Delray Beach, FL. PatientPing is named a runner-up for best tech startup at the Timmy Awards. Patientco will host a recruiting meet and greet September 28 in Atlanta. The SSI Group will exhibit at the Alabama HFMA Fall Institute September 24 in Miramar Beach, FL. TriNetX will host Summit17 September 26-27 in Boston. Wellsoft will exhibit at the NRHA Critical Access Hospital Conference September 27-29 in Kansas City, MO. Looking for information about an IT consulting firm, Softek. We are looking in to moving revenue cycle platforms and understand this firm has a lot of Cerner alumns but not clear on anything other than maybe that is correct. Just trying to see who besides Deloitte and the other usual suspects are available for technical help. I have worked with them before, happy to discuss….